A U.S. Supreme Court ruling issued Tuesday called into question the government’s ability to declare a piece of land to be protected habitat for an animal that doesn’t live there. The ruling also indicates landowners’ growing ability to challenge government decisions about their property, an attorney in the case said. In 2001, the U.S. Fish and Wildlife Service listed the dusky gopher frog as an endangered species. Agency officials proposed 1,500 acres in St. Tammany Parish as part of its critical habitat. The frogs don’t live there. But the agency said the site met the legal definition of "critical habitat" because its rare, high-quality breeding ponds and distance from existing frog populations made it essential for the species’ conservation. With some modifications, the agency said, the site could provide a suitable home for the species. The landowners sued, arguing their land shouldn’t be considered a viable habitat and that the government failed to fully consider the economic impact of its action. Both the district and Fifth Circuit courts ruled against them, with the Fifth Circuit ruling the decision was made under the agency’s discretion and therefore was unreviewable, according to the Supreme Court’s summary. In its ruling in Weyerhaeuser Co. v. U.S. Fish and Wildlife Service, the Supreme Court sent the case back to the Fifth Circuit and ordered it to take a closer look at the economic analysis and the definition of "habitat," which represents at least a temporary victory for the landowners. But the declaration that the agency’s decision was subject to judicial review at all may be the more significant take-home point. "Fish and Wildlife has always said, and the courts have agreed up until now, that you couldn’t question [their decisions]," said Mark Miller, an attorney with the Pacific Legal Foundation who represented the landowners. 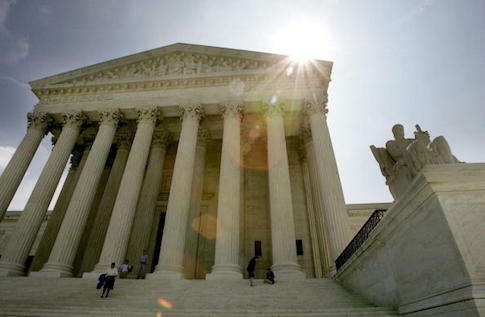 "Now, the Supreme Court said that was wrong, and they said it unanimously. You have a right of access to the courts." Federal agencies often argue their decisions can’t be questioned, Miller said. But over the past several years, he said, the Supreme Court has rejected that position in different scenarios and with different agencies. "The legal principle is always the same: Americans have the right to challenge the federal government," Miller said. LSU law professor Paul Baier, who teaches constitutional law, publicly predicted in an op-ed column published last year that the Supreme Court would take the case. In an interview, he said it was clear the agency’s decision is subject to review and called the lower court rulings "silly." "You might as well say the moon is unoccupied critical habitat [for the frog]," Baier said. Oliver Houck, a Tulane University law professor and environmental law expert, calls those sorts of metaphors by the agency’s critics "ridiculous." He said it’s not unusual for Fish and Wildlife to modify habitats, and said the land still could be developed while also protecting the frogs. Houck also said the district and circuit courts that sided with the agency are historically very conservative and very protective of property rights, indicating the strength of the agency’s case. Usually, he said, the Fifth Circuit is where "environmental cases go to die." Houck said the specifics of the case are fairly unique, so the ultimate ruling may not be applicable to other environmental or property rights cases. But he said the federal government is currently creating new regulations that, if upheld in court, would essentially gut the Endangered Species Act and give the landowners an easy out. For example, one change would require weighing the economic value of the species before listing it as endangered, Houck said. By that standard, the dusky gopher frog is probably doomed. "All [the landowners] would have to say is, ‘I’m not going to let them do this,’ and that would be the end of the question," Houck said.